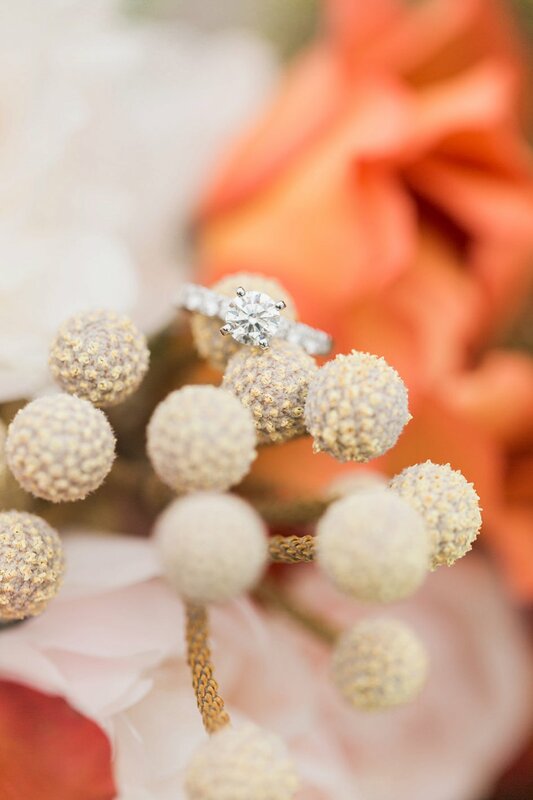 This engagement shoot was a complete surprise to Tayelor, who thought she and her boyfriend were just going to a styled shoot with one of her favorite photographers. 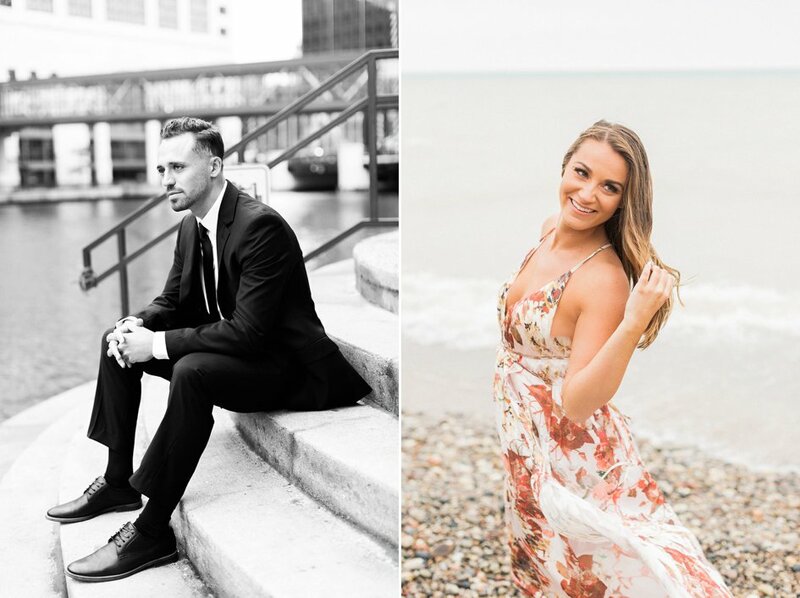 Casey contacted Megan Lee Photography ahead of time to set up a special shoot that even included Tayelor getting her hair and makeup done. 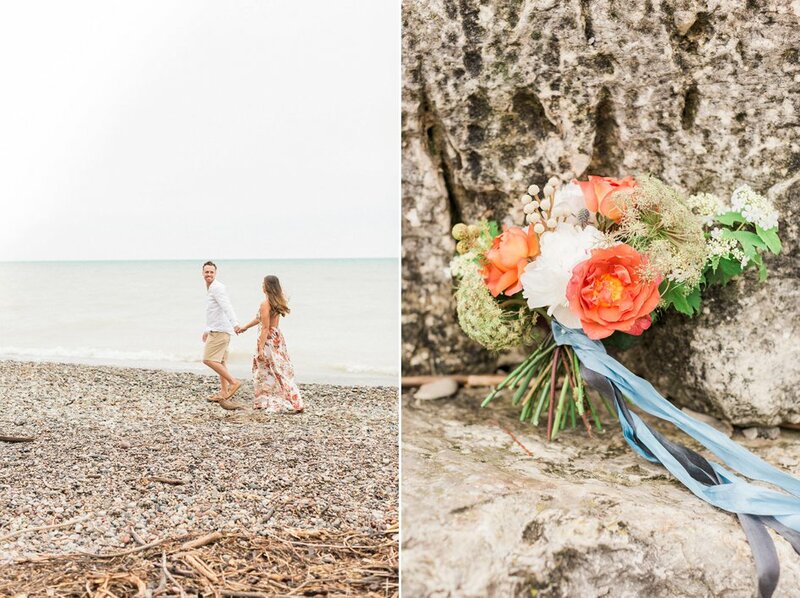 Unbeknownst to Tayelor, Casey and Megan planned to start off as a styled shoot and then turn into Casey proposing! 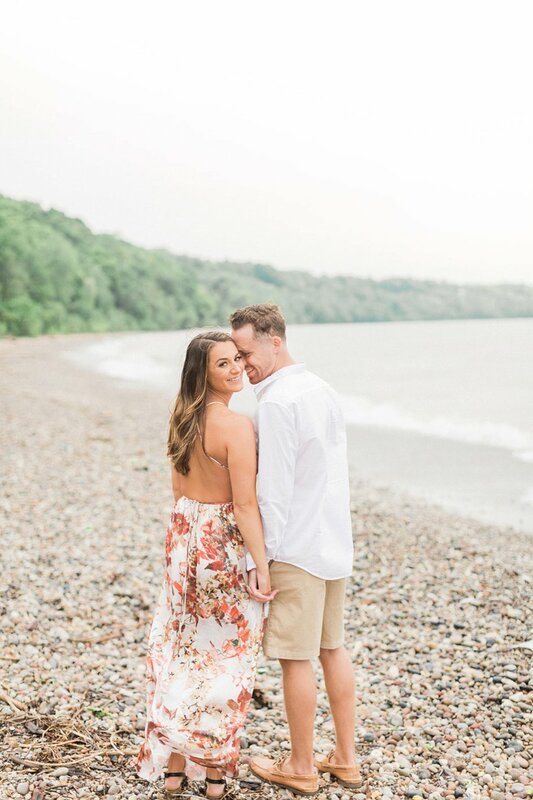 The day started out rainy and freezing, and the couple took a few photos downtown before switching outfits and heading to the beach. 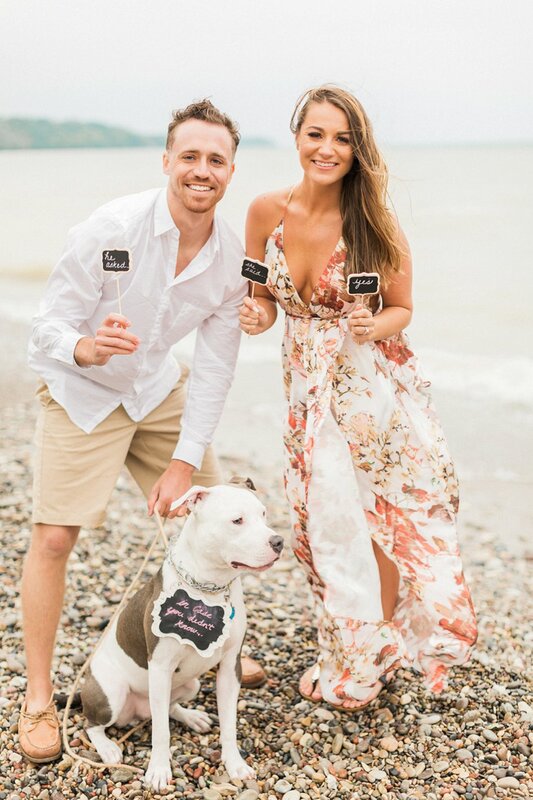 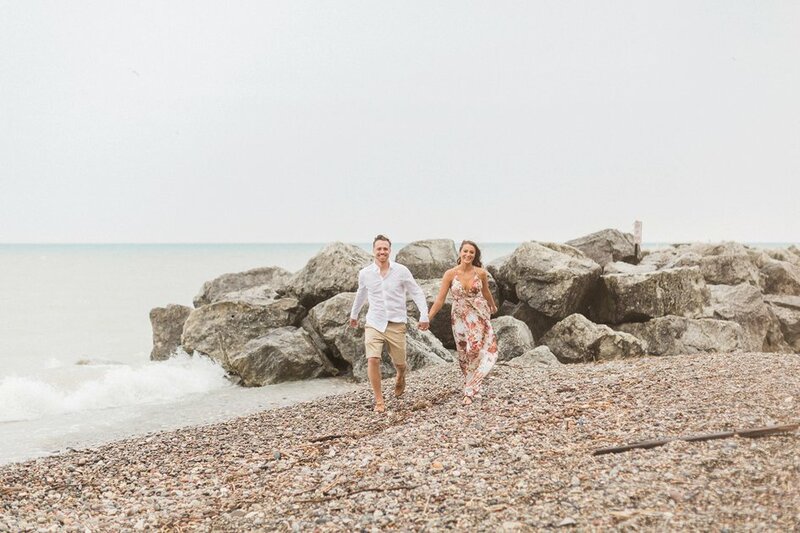 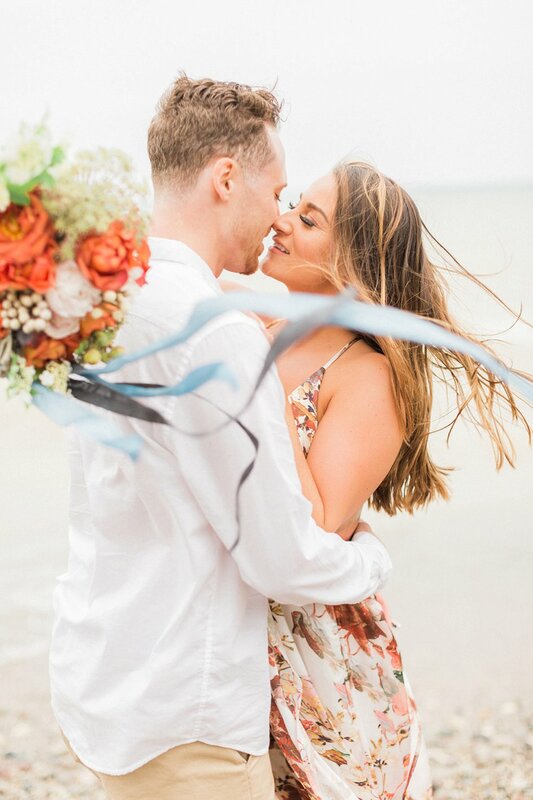 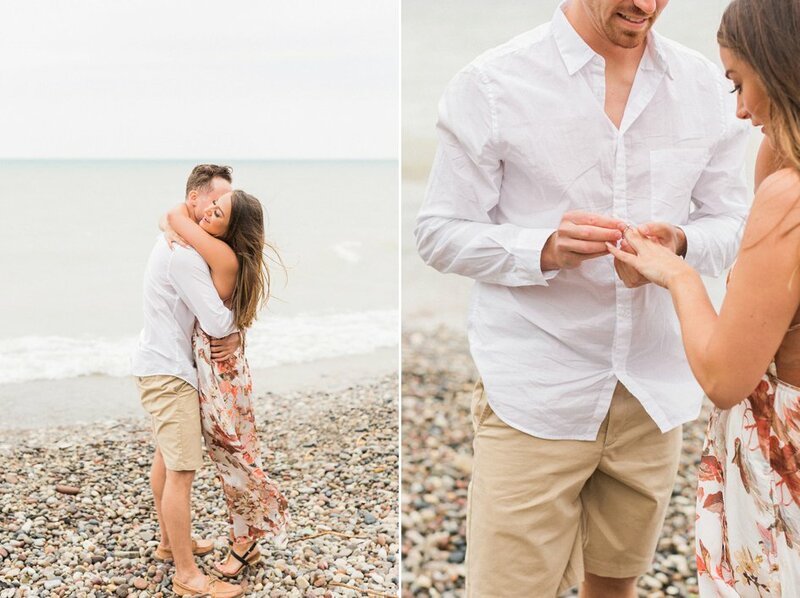 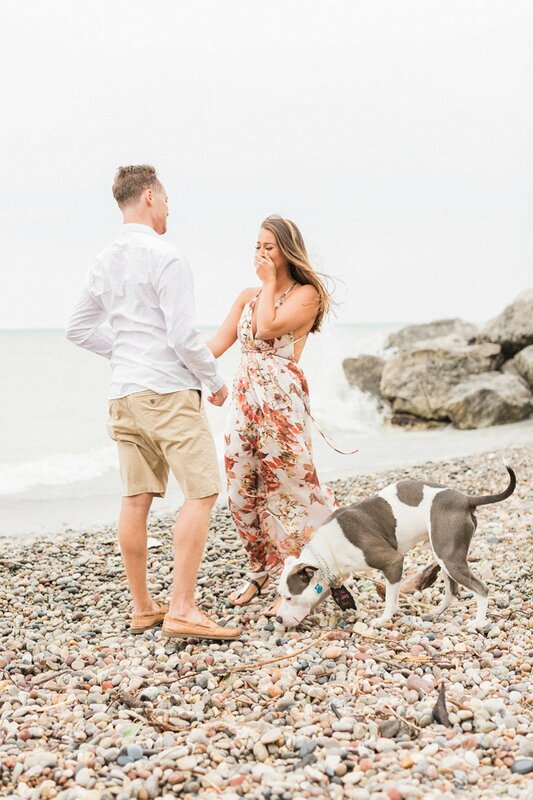 At the end of the session, their dog came running onto the beach with a sign around his neck, reading, “In case you didn’t know…” Tayelor turned around and Casey dropped to one knee! 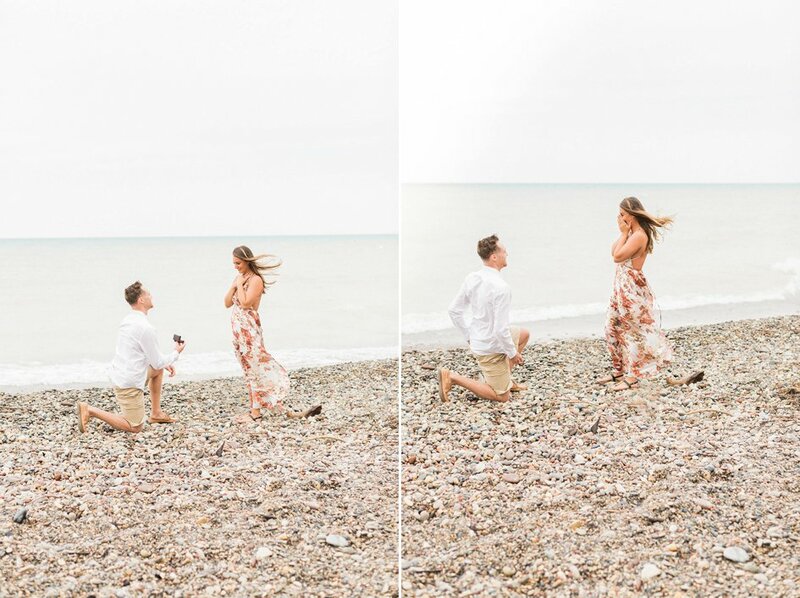 Suddenly her whole family came out of hiding to congratulate the newly engaged couple and the oh-so-surprised Tayelor! 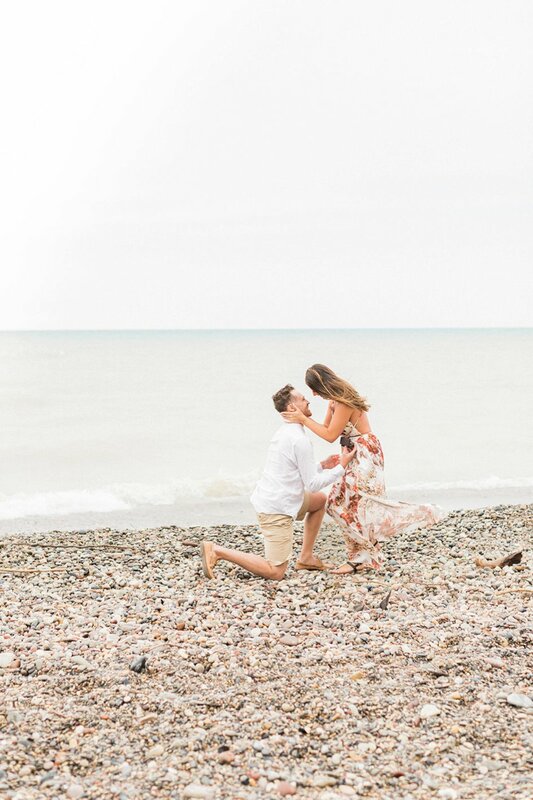 Simple and sweet, this proposal shoot caught the magic of two people very deeply in love.